A: A lot goes into quoting you a correct price. Inspection fees are based on the exact square footage of the home, among other factors. The best way to determine how much your home inspection will cost is by contacting us directly. We can be contacted via text or email at almost any time of the day. Call/text us now: 734-224-8080 or Jay@upclosehomeinspections.com. BUYER BEWARE! When you’re buying a home, going with the cheapest option is NOT the best choice! Remember, you are making a lifetime investment. The best thing you can do to protect yourself from spending a fortune in the future is to hire the right inspector. As the saying goes, you get what you pay for! A: Please click here to view our life expectancy chart! Q: Do I have to be buying a home to hire an inspector? A: You can hire us for other inspections as well! We offer inspections or testing for Radon, Wood Destroying Organisms, Home Energy, and more! We also provide inspections for sellers to make your home Move-In Certified™. A sellers inspection informs you of any defects or problems with your home so you have the opportunity to address them before prospective buyers discover them. 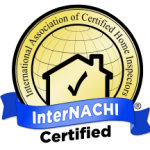 Q: Can I ask questions during the inspection? A: Generally speaking, we hold off on making comments or answering questions until the end of the inspection. The reason for this is so we can have the opportunity to review the entire home as a system, and establish problems instead of symptoms (some inspectors just tell you there’s a crack in the wall, but we tell you WHY too!). Also, we may simply not have inspected that portion of the home yet. We encourage you to take measurements, photos, and jot down questions/comments you might have so we can discuss them together at the conclusion of the inspection. A: You may consider having your air ducts cleaned simply because it seems logical that air ducts will get dirty over time and should occasionally be cleaned. While the debate about the value of periodic duct cleaning continues, no evidence suggests that such cleaning would be detrimental, provided that it is done properly. Also, despite more than two decades of research, there is still not enough evidence to draw solid conclusions about duct cleaning’s benefits on indoor air quality, occupants’ health, HVAC system performance, or energy savings, according to a 2010 review of scientific studies on duct cleaning. 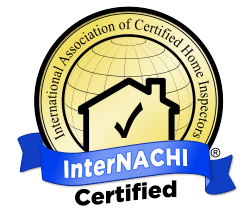 Home Inspections and home inspectors in Livonia, Westland, Detroit, Warren, Farmington Hills, Novi, Dearborn, Bloomfield, and surrounding areas of Michigan!